"KC" is out of the last litter by our wonderful Shiva. KC showed early promise in her show career with challenges and classes in group, sweepstakes wins and an opposite baby in show win at the NSW Specialty in April 2005. 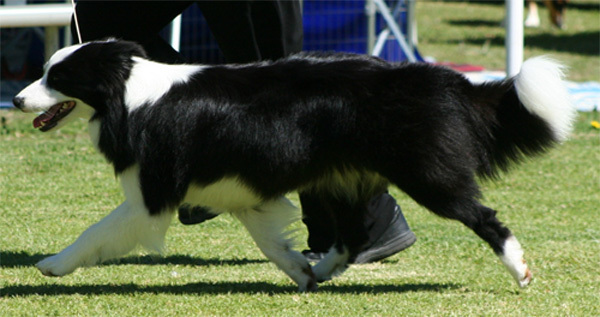 In September 2005 KC won Puppy In Show at the Queensland Border Collie Specialty under renowned specialist judge Mrs Judy Vos (Clan Abby). Critique from Mrs Vos : "Lovely movement on this one moved easily, energy efficient. lovely neck onto neat front, good tight feet, good top and croup. move her steadily to show the grace and beauty of her movement." 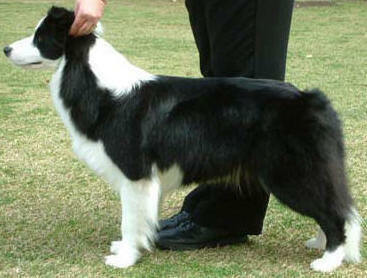 "KC" became an Australian Champion 30th September 2006. After a break from the ring, she came back in fine form winning two challenges to put her on 99 points. Her first show back after our holiday saw her finish her title, and she continued on to take the other two challenges on offer that weekend to seal the deal!!! After a holiday in South Australia with Kimberly of Aurorafire Border Collies, where she tried herding and gained her PT title, KC has returned home and is back out in the ring enjoying herself.